Those excellent chaps at Tiny Worlds have sent me a preview of their soon to be released Tank Traps. I’d almost hazard to say this is a world exclusive. Go team! I’m a big fan of Tiny Worlds because they produce an excellent product at an incredibly good value price. 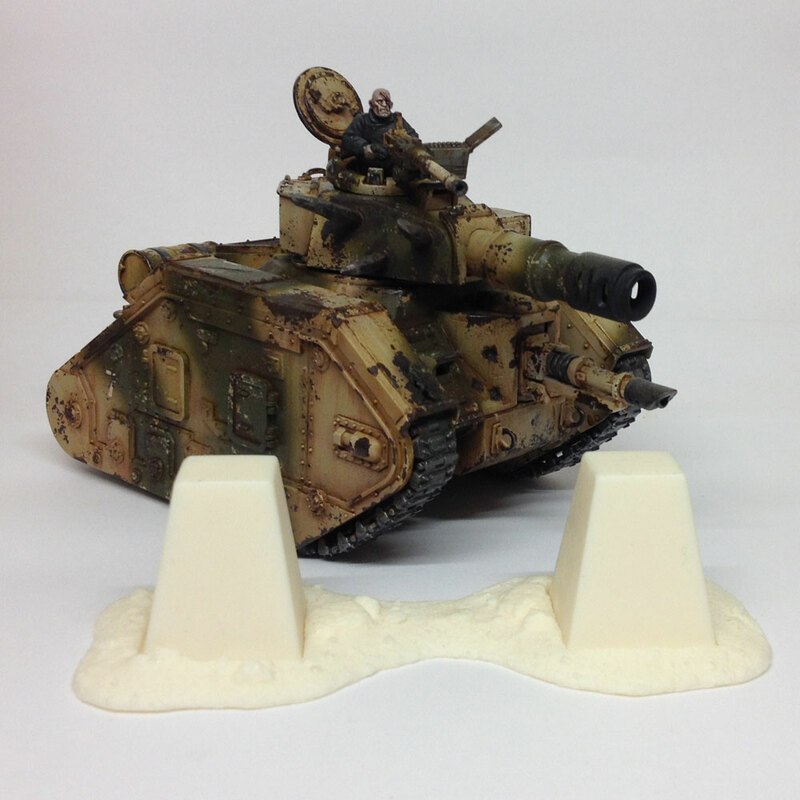 I’ve had the pleasure of reviewing their barricade sets and like the barricades, the tank traps will be available in shiny new, slightly knackered and completely buggered and are, like the barriers, cleverly designed to fit in with just about any modern or sci-fi wargame you care to shake a stick at. Available to buy in a week or two they’ll come in sets of 5 and I cannot wait.